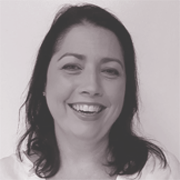 With qualifications in both Beauty Therapy and Aura-Soma (colour soul therapy), Leigh’s international experience allows her to provide a truly unique experience tailored to each individual client. After completing her 3 year apprenticeship, Leigh worked for a number leading Swiss clinics, before opening her own salon in Zurich Switzerland. After settling in NZ, Leigh was sought after as Beauty Therapist and ​Aura-Soma practitioner. With the benefit of over 20 years experience Leigh has developed a personal philosophy to focus on natural beauty and the importance of feeling relaxed and pampered. She believes in enhancing each woman’s natural beauty, and works a variety of brands aiming to give you the most precious experience and have you access your inner beauty. Contact Leigh for your initial consultation.